If it looks like someone spilled black seeds in your garden, take a closer look. If those "seeds" move or have legs, then the garden probably has a pest infestation. Several kinds of aphids, thrips and flea beetles feed on plants and resemble black seeds. Ticks, which feed on people and animals, are another possibility. 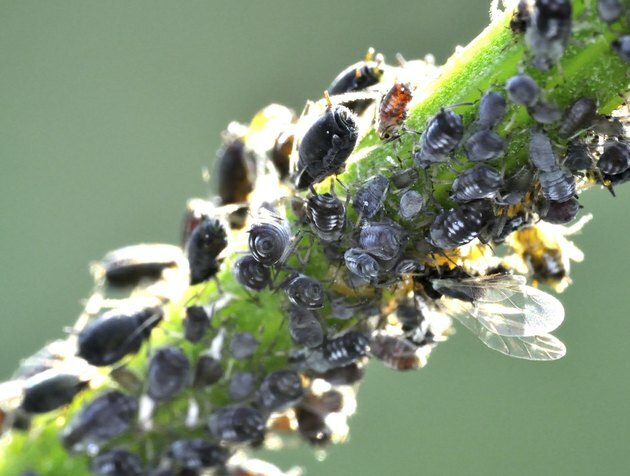 Black citrus aphids (Toxoptera aurantii) and black peach aphids (Brachycaudus persicae) feed in colonies on flowers and leaves. At first glance, these tiny, black bugs look like poppy seeds to the naked eye. All it takes, however, is magnifying glass to see these insects clearly. Before resorting to chemicals, spray aphids off your plants with clean water. A spray bottle or hose works well. Repeat the process whenever aphids return. 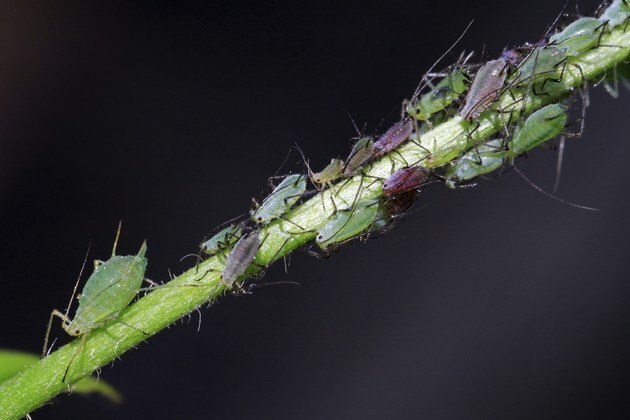 If they persist, control them by spraying aphid-infested areas with an insecticidal soap spray. Use one that is ready-mixed and diluted; insecticidal soap is commonly sold in spray bottles. Repeat the application every seven days until the aphids go away. Thrips range from clear to black and can resemble 1/20-inch-long seeds, and the excrement they leave behind can look like black seeds. As they feed, thrips emit their black droppings on leaves. You may also notice white irregularities on plant leaves caused by damage during the feeding process. It's not simple to control thrips with insecticides because they resist the chemicals. These pests, however, don't commonly cause severe damage. So you can leave it up to predatory insects, such as wasps, to take care of a thrips problem. 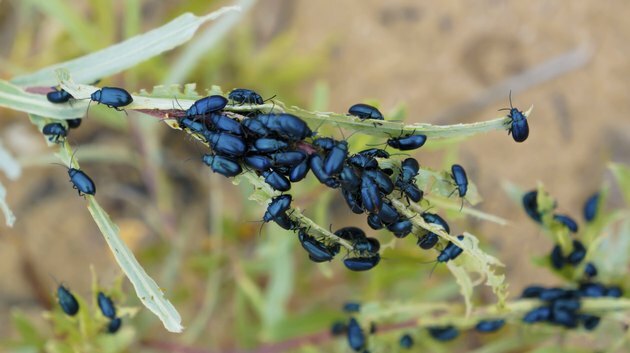 Flea beetles look like glossy black, 1/10-inch- long seeds. When poked, they jump just like regular house fleas. 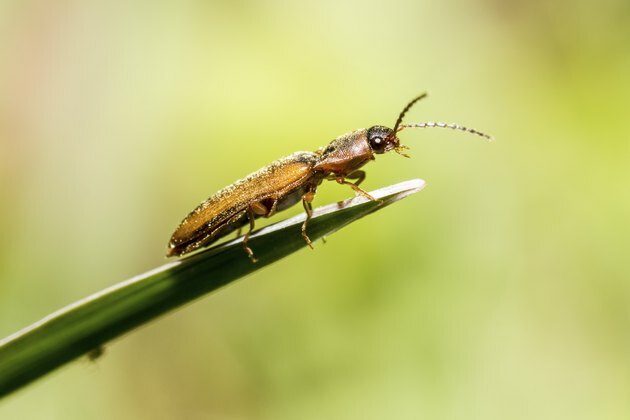 You're most likely to find these leaf-eating pests in a vegetable garden. Small, round holes chewed through tender leaves are strong indicators of a flea beetle infestation. When flea beetles ravage your garden, a sprinkling of diatomaceous earth can help neutralize the problem. Sprinkle it directly on the affected plants on a windless day, and avoid inhaling its fine dust by wearing a respirator during the application and when handling the product. As a preventative step, remove all of the garden's dead plant material in fall. Otherwise, flea beetles may live under it during winter. Ticks wait on foliage for an animal or a human to pass. Dark-brown tick varieties often look like black seeds on plants. Take a closer look at suspected ticks with a magnifying glass. Ticks have eight legs and are flat before they feed. Dropping ticks in a jar of rubbing alcohol kills them. 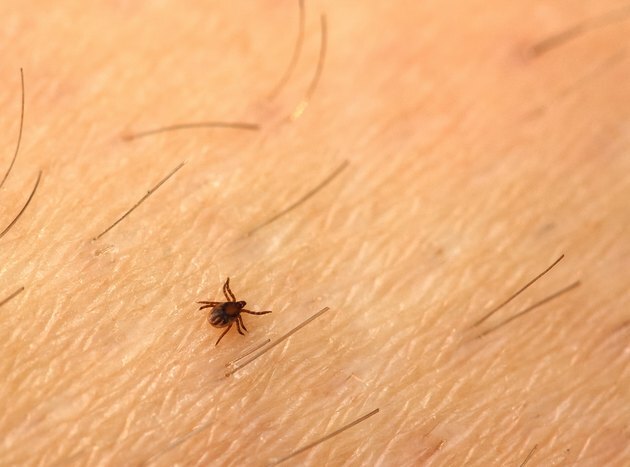 Always check your clothes and body, as well as pets and children, for ticks after spending a day outside. Keeping your lawn mowed as well as collecting and discarding leaves and other lawn litter can help deter ticks.